I’m just passing through after a quiet, but deeply enjoyable, Christmas visit to DD and her family, to be followed tomorrow by a New Year visit to DS for Grandson#3’s tenth birthday on Epiphany. I've spent the past couple of days doing the laundry, and yet more baking to take with us, and also getting to grips with my new challenge to myself. 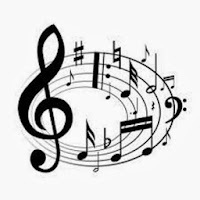 To mark a new year and my 200th blog post, I've finally done something I’ve had in the back of my mind for a long time and started to learn to play the clarinet! Grandson#2 has kindly lent me his spare clarinet to be going on with and he and DD patiently demonstrated the basics to get me going until I’m mobile again and can find myself a teacher locally. 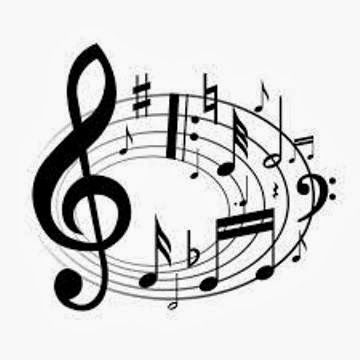 So far I’ve mastered the first five notes of the scale and can fairly reliably get a proper note rather than a squeak or, even worse, silence, and have even managed to play a couple of very simple tunes. At the age of 67 I've reminded myself what it feels like to be a complete beginner at something and I’m enjoying myself enormously. DH is still rolling his eyes a little at the prospect of my practising all over the house, but is, I think, starting to realise that I do mean to continue as far as I can go, though I will never reach anywhere near the artistry in this slow movement from Mozart’s clarinet concerto. This is one of my very favourite pieces of music, which many years ago sowed the seed of my love of the clarinet’s versatility and wonderfully mellow sound. I wish you all a very happy New Year. In return, please wish me luck…. 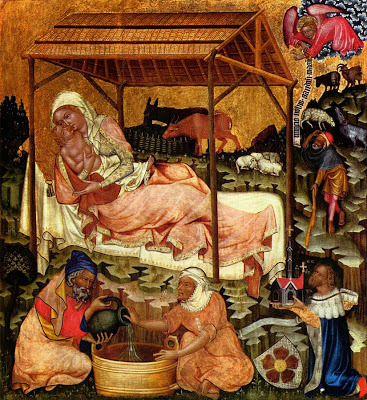 Two Christmases ago, I shared with you one of my favourite representations of the Nativity. That year I had been fortunate enough to visit Assisi with DD and had also made my second visit to Prague as locum chaplain to the English-speaking chaplaincy there. While there I spent a wonderful day revelling in the superb collection of mediaeval art in Saint Agnes Convent and especially enjoyed the homely detail in this painting of the Nativity by an anonymous 14th century Bohemian artist. It comes with my thanks to you all for your friendship and the pleasure your blogs have given me this year and my warmest wishes for a joyous and peaceful Christmas and a happy, healthy New Year. ….or that’s what it feels like. After years of deteriorating sight and six weeks of post-operative caution, I've been cut loose to get on with my life. New glasses here I come! I've also proved to myself that I can still touch my toes and am now gearing up for the last-minute preparations before we head off to Yorkshire on Sunday to spend Christmas with DD and her family. So it’s out with the baking apron and the festive wrapping paper and even a few decorations, to the accompaniment of some seasonal music. I wish I could organise as successfully as this…. During the last few quiet weeks, I’ve been watching more TV than usual to accompany my knitting. This has meant rather greater exposure to Christmas advertising than I might have wished, which in turn led me to ponder some of the differences between Christmas now and the Christmases of my childhood. Until I was nearly thirteen our house was a TV-free zone, which meant my only exposure to advertising in the home before then was in the pages of newspapers and magazines, neither of which featured largely in my childhood reading habits. Even on our trips to town, there weren’t really any adverts for toys or games on display, which must have spared our parents much of the pre-Christmas pestering today’s parents seem to have to endure. Instead we girls relied on one very special Saturday to inform ourselves about the latest toys and games and decide what suggestions or requests we might include in our annual letter to Father Christmas. 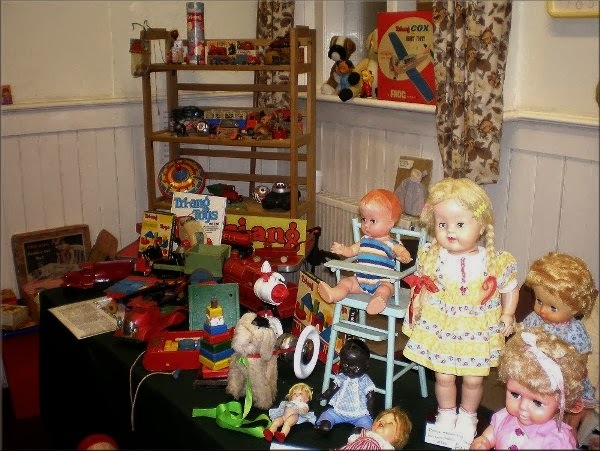 That Saturday was the day in late autumn when our local Co-operative Society opened its Toy Fair in the big meeting-room on the first floor of its premises in the main street of the east Lancashire cotton-town where I was born. Almost trembling with excitement, my younger sisters and I would be taken by our parents by bus into town, where we would join the queue for admittance into this Aladdin’s cave of childish treasure. There we would spend a blissful hour or two wandering round the displays to find the special one or two items we felt we might be able to ask Father Christmas to bring us. Even then we had a very clear understanding that we couldn't ask for much, but that if we were modest in our requests, we would probably find them satisfied on Christmas morning. 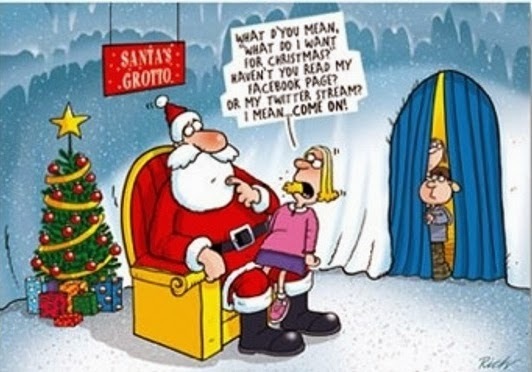 The other great treat of that day was the visit to Father Christmas’s grotto in a side-room off the main hall, with the inevitable question as to whether we had been good, and the invitation to whisper in his ear what we would like him to bring us for Christmas. Then he would hand each of us a small gift as an earnest of the treats to come and we would go home, tired but happy, to start counting down the days to Christmas. Soon afterwards would come the letters to Father Christmas, written out in our very best handwriting, with no spelling mistakes or crossings-out, which we would leave on the mantelpiece for our father to put up the chimney before he went to bed. The other ritual which was inexorably linked with the pre-Christmas period as I remember it was the divi. 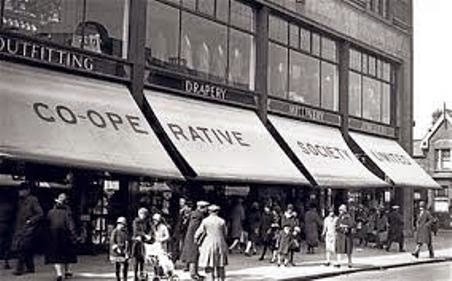 For my overseas readers I should explain that each time one shopped at any Co-operative Society department, one was given a receipt, which was carefully put away safely until it was time toclaim the dividend or divi – our share of the profits of the Society. Twice a year out came the receipts, which were carefully pasted (usually by us children) onto a special claim form, bearing our member’s share number, and even more carefully totalled up by our mother, so that we knew how much divi we could expect. By the time I was in my teens I was very aware that this bonus went at least part of the way towards paying for the presents which would appear in the stockings we left at the end of our beds on Christmas Eve. 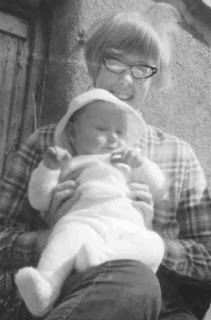 By then too I was long aware that our parents helped Father Christmas out by delivering those same presents, which had been carefully hidden in the bottom of the wardrobe in their bedroom, but for the sake of my two youngest sisters my lips were sealed. The idea of piling presents round the tree didn’t feature at all in my childhood, since our tree was tiny and stood on a table in our small living-room, well out of harm’s way. It’s a pity Simon didn't do the same…. That’s what I’m living at the moment, whether I like it or not. I’m not allowed to drive until I can get new glasses and that may take a little while longer. I had my eyes tested this week and the optometrist thinks my right eye needs to adjust a bit more, until it works properly in harness with the left, before he can establish the correct prescription. My left eye has been doing most of the work for so long that the two have got out of the habit of working together, but things are improving day by day. I see the consultant again a week on Monday, when he will hopefully sign me off. Then just a little more patience and there’ll be no holding me. 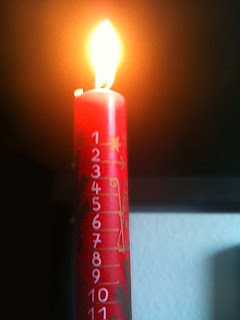 If there had to be a right time for this enforced quiet, surely these weeks of Advent fit the bill perfectly. Instead of struggling with the unrelenting and indeed overwhelming early presence of Christmas all around me, I’m lucky enough to be able to concentrate on the preparations and anticipation and postpone the celebrations until they are due. Amazingly (except for my electronic Advent calendar) I have yet to hear my first Christmas carol, as all my shopping has been done online and Amazon and other sites don’t yet accompany the ordering process with canned music. So I’ve been getting on with the baking and the card-writing in blissful peace, with only the occasional piece of Advent music to remind me of the season. The peace won’t last, but it’s been a lovely and very welcome gift. Words: a modern Advent carol written by Eleanor Farjeon (1881-1965) and set to the tune Besançon. It was first published in The Oxford Book of Carols in 1928. Tune: This carol from the eastern part of France, appeared in the "Recueil de Noëls anciens au patois de Besançon," which was published in 1842. The melody is probably from the seventeenth century. Perhaps I should hesitate to start a post with what verges on a cliché, but I can’t help wondering where the years have gone. 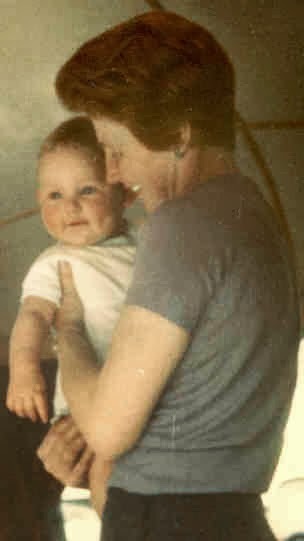 Back in the earliest days of this blog I asked myself the same question when DD celebrated her fortieth birthday, and today I’m looking back even further, to the day forty-five years ago, when, at the tender age of 22, DH and I became parents for the first time. It was 1968, the year of students riots in Paris and the doomed Prague Spring in Soviet Czechoslovakia, of the last mainline steam trains in Britain and the first manned Apollo mission in the US. It was the year DH and I graduated and bought our first, rather decrepit house for the princely sum of £2,150. We were subsisting on a student bursary of £500 a year while he trained as a teacher and once the mortgage had been paid each month, there was very little left over to live on . The house was minimally furnished with family cast-offs, the unused rooms still empty. The only clothes we bought that year were for the baby I was expecting and even those were just the few things I couldn't make myself. I discovered very quickly how fortunate I was to have been brought up by a mother who taught all her daughters to cook plain, healthy and, above all, economical food. DH was away at college from Sunday to Friday evening, living in our ancient camper to save rent, while I was alone at home, trying to turn a neglected house into somewhere to care for a baby. 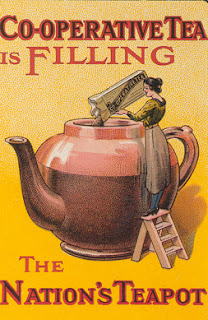 I’d made a start by painting the kitchen what should, if the label on the tin were to be believed, have been a warm but muted shade of coral, but which turned out to be a vivid and virulent pink, which we had to endure until we sold the house four years later. Two weeks before the baby was due I went for my weekly ante-natal check-up on the last Tuesday in November. DH was at college as usual, after a very pleasant weekend at home during which we’d celebrated his birthday. Out of the blue, the doctor who examined me said he was worried about my puffy ankles and on hearing there was no-one at home to look after me, insisted that I be admitted to hospital the same afternoon for rest and care until the baby was born. As it turned out, DS didn't wait for the two weeks to be up before making his entrance. An accidental fall on a wet bathroom floor precipitated the first signs of labour and DH arrived home for the weekend to find that active fatherhood was imminent. When that Advent Sunday dawned, it was obvious that the baby was well on the way and DH spent the long day by my bed, fetching and carrying and making himself as useful as he could. Back in those days it was mandatory for fathers to have attended ante-natal classes if they were to be admitted to the labour-ward. Being away at college all week meant that he hadn’t been able to go to the classes with me and the staff were adamant that he had to say goodbye to me at the labour-ward door and wait outside until it was all over. He didn’t have long to wait. The first stage of labour might have been long, but the second was almost precipitous and DS made his entrance into the world only 20 minutes after I’d been wheeled through that door. When he was wrapped up and given to me to hold, someone asked what we were going to call him. DH and I had whittled down the possibilities to two short-lists of names, but hadn’t yet made our final choice. At that point I could remember only one name from the boy’s list, probably because it was the shortest, but as soon as I said it out loud, I knew it was the only possible one. When DH was allowed in to see us both, I presented him with not only a son but a name, and suddenly we were a family and life would never be the same again. 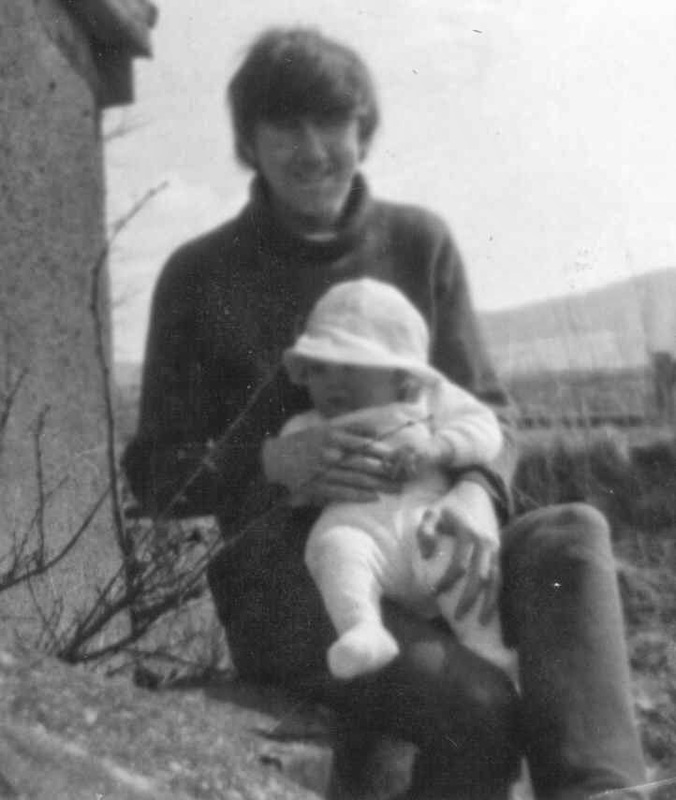 Forty-five years on, DS is a husband and father in his turn, with a son who will soon be 10 and a very busy and worthwhile career. 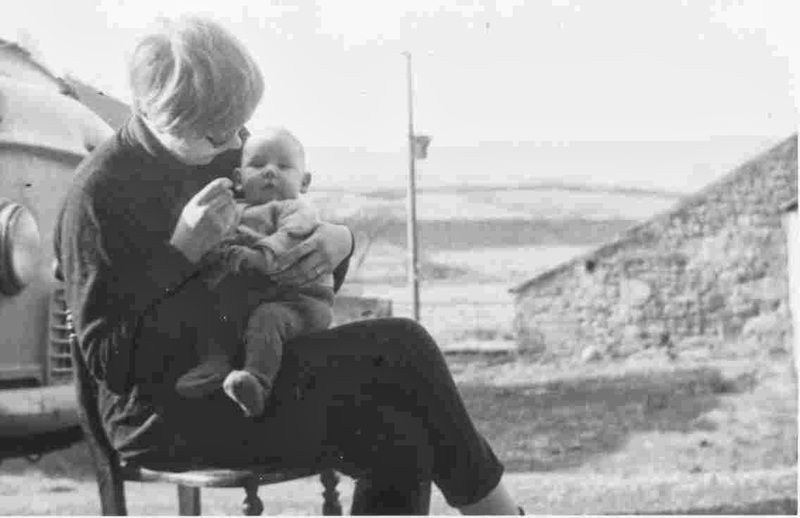 But on this Advent Sunday I can still see so clearly the baby with dimples, who looked up at me at the end of that long day and lodged himself in my heart for ever. Postscript: It may seem almost unbelievable in these days of camera-phones, Facebook and Instagram, but we don’t have a single photo of either of our children until they were at least 3 months old. They were both born in winter and our first photos were taken when it was finally warm enough to be outside with them.